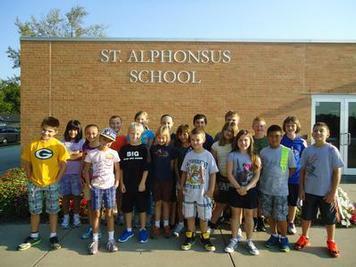 As some of you may know, our family was blessed with the opportunity to re-enroll our two children at St. Alphonsus School in Greendale this year. That change meant we had to go back to an earlier school day’s start time, a commute via car (instead of walking), and a tuition payment my wife Carrie and I have to absorb into our monthly expenses. As anyone with school children will affirm, as parents, we do our best to make good choices for our children so they have better odds of success throughout life. It’s not always easy. Making this change required a commitment on our part to Catholic education, bringing along with it, a faith formation journey that will serve our children far into adulthood. Now you may be saying, does it make that much difference? Isn’t public school good enough? That’s not the right question. 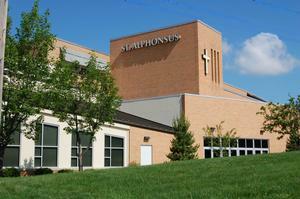 It should be, what differentiates St. Alphonsus from the rest? The answer is this; St. Als offers a faith-based education that provides truly wonderful things for kids! Need proof? On one of the first days of school, my daughter announced to her teacher how thankful she was to be back in class at St. Als. Why? Because she had been given the opportunity to pray in school, with classmates and staff that wanted to pray with her. Those early morning prayers meant a lot to her and helped her regain the confidence and courage she needed to face each day head on. As a dad, to hear that kind of testimonial grabbed my heart – in a truly touching way! With class is back in session, the fundraising efforts to keep the school alive and thriving are underway. You may be aware that my wife and I are taking an active role in the St. Alphonsus Vegas Night fundraising event on November 2nd. The casino themed event will be a fantastic evening filled with fun, food, fellowship and friends! With that said, would you know any local “celebrities” that might want to donate a few hours of their time to help us out? Those “lucky” few that step up and volunteer could provide a bit of humor and a winning personality to the blackjack tables as dealers that evening. Their presence may help increase contributions to raffle items, provide better overall participation, as well as to make the event an even bigger success. So who do you know that can lend a hand? Please give me a call at 414-403-3002 or reply via email to Duane.Drzadinski@gmail.com if you know any dynamic individuals that can help our school this fall. The students of St. Alphonsus will appreciate the support! It was good to visit with you last evening at the fish fry. 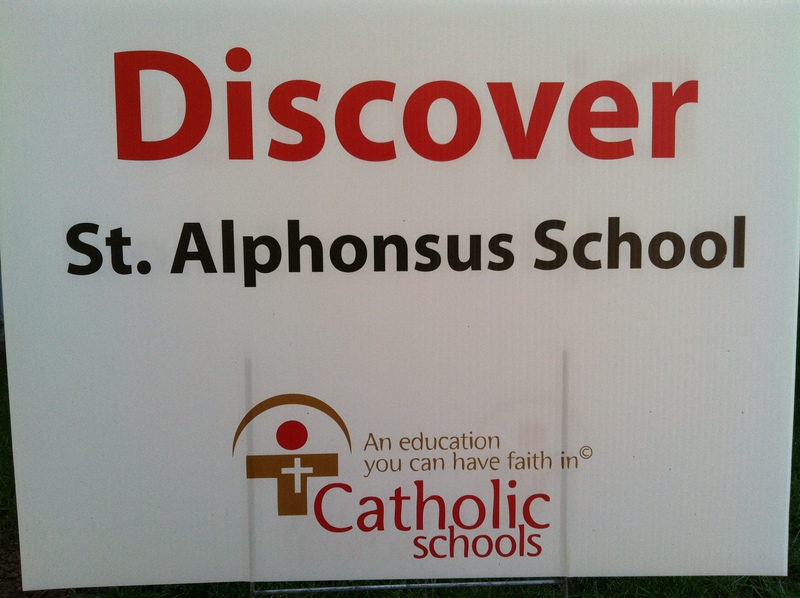 I did not know that your children were out of St. Alphonsus School last year. The sacrifice to keep them in parochial school are significant, although we had this commitment between 30 and 40 years ago when tuitions were a smaller part of gross income. My grandchildren attend a Catholic school in Libertyville, IL, but live in Gurnee, ten miles north. They start at 7:00am and conclude at 2:00pm, a challenge in itself. At any rate, I look forward to visiting the Las Vegas night as we do each year and will be alert to anything that would sound like an interesting employment opportunity for you. And you will remain in my prayers for strength, understanding, comfort and hope. Thank you for the kind words Gene. I appreciate the comments and feedback.